The Foshay Tower, constructed in 1929, is an iconic symbol of economic development in Minneapolis at the height of the roaring twenties. Until 1973, the building’s thirty-two story tower was the tallest skyscraper between Chicago and the West Coast; its height and extravagant building materials represent the wealth of W. B. Foshay Companies. The man responsible was Wilbur Burton Foshay. A native of New York, Foshay studied electricity, mechanics, and engineering at Cooper Institute. He came to Minneapolis in 1915 to work for electric light and telephone poles manufacturer Paige and Hill. Soon, he’d purchase the Ponca Electric Company of Nebraska and in 1917 created W. B. Foshay Company in Minneapolis – a public utilities holding company – and issued 500 shares of common stock worth $50,000. At the time, public utilities were booming in the United States. Factories were increasing use to keep up with public demand; streets lights were being installed in downtowns for the first time to provide light; and residents living in the suburbs wanted access to the cities. Wilbur continued to invest and grow his empire by purchasing utility companies all over the country. In just eleven years, the W. B. Foshay Company had expanded to five countries and thrity states. In 1928, Foshay commissioned Minneapolis architectural firm Magney and Tusler, to design the company’s new headquarters. Foshay recalled a childhood memory of visiting the Washington Monument with his father. He stood in awe of the obelisk, and told his father he would erect a building like it one day. 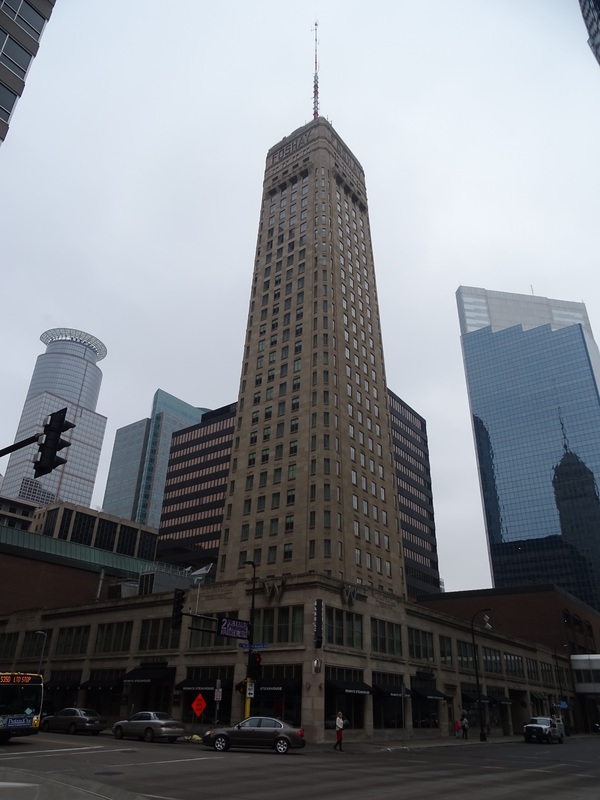 As a symbol of his personal success, Foshay requested his building be modeled after the monument. Designed by architect Leon Arnal, who was educated at the Ecole de Beaux Arts in France, the building’s obelisk structure was an engineering feat at the time of its construction. At ground level, the tower is 81 feet by 87 feet, and at the top it measure 59 feet by 65 feet. The building is Art Deco in style and the façade is Indiana limestone. On each side of the top of the tower, the word “FOSHAY” shines proudly in 10-foot-tall letters. It is the only rooftop sign in downtown Minneapolis. Two-story buildings constructed in phases between 1920 and 1928 surround the base of the tower and serve as a pedestal. Foshay held three days of dedication events in honor of the building over Labor Day weekend in 1929, and all of Minneapolis’s elite were in attendance. Unfortunately, just two months later the roaring twenties were no longer. The stock market crash in October 1929 put W. B. Foshay Companies in bankruptcy. In 1931, the Department of Justice indicted Wilbur Foshay for mail fraud. Foshay and his business partner, Henry H. Henley, were tried in a highly publicized court case. In May 1934, both Foshay and Henley were convicted of mail fraud and sentenced to serve fifteen years in Leavenworth Prison. President Harry S. Truman pardoned the pair ten years later. The Foshay Tower was added to the National Register of Historic Places in 1978 for its significance in architecture and engineering. In 2006-2008, it was renovated and reopened as a 230-room hotel, the W Minneapolis-The Foshay. 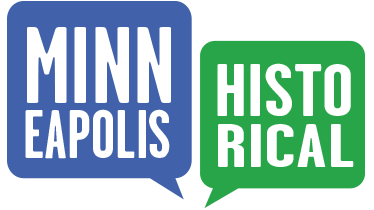 Hollie Batinich, “Foshay Tower,” Minneapolis Historical, accessed April 18, 2019, http://minneapolishistorical.org/items/show/107.